Watch highlights as Milos Raonic rolls into the MercedesCup quarter-finals on Thursday in Stuttgart. 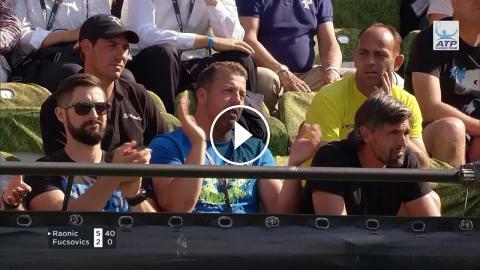 Video: MercedesCup. Photo: Peter Staples/ATP World Tour.